DUSHANBE -- Relations between Uzbekistan and Tajikistan "will be reaching the level of strategic partnership", Uzbekistani President Shavkat Mirziyoyev told journalists Friday (March 9) in Dushanbe, while speaking alongside his Tajik counterpart, Emomali Rahmon, Radio Free Europe/Radio Liberty reported. "There are no problems left that could hinder the development of our bilateral relations," said Mirziyoyev during his two-day visit to Tajikistan, which comes after years of tension between the two countries. "Tashkent will be steadily developing ties with Dushanbe in all directions," he said. 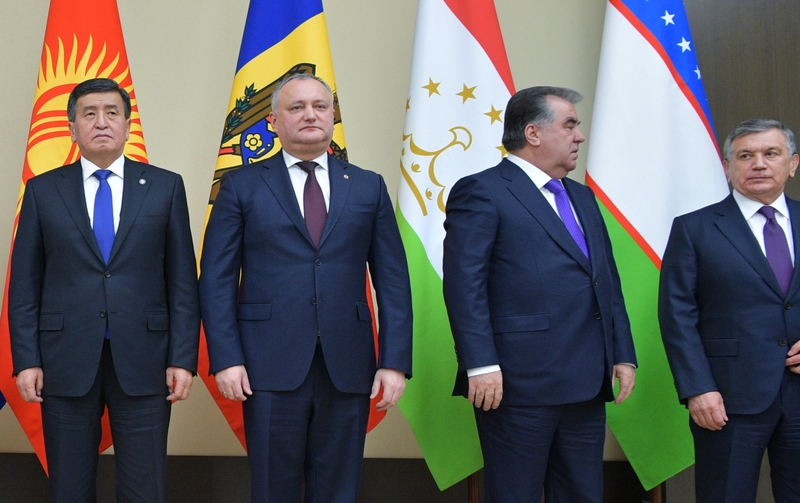 Rahmon vowed that Tajikistan will support "Uzbekistan's efforts to boost regional co-operation", calling Mirziyoyev's visit "fateful and important". Officials from the two countries plan to sign more than 25 agreements, reported AsiaPlus.tj.